The Office for Standards in Education (Ofsted) has had an open consultation, inviting feedback on its proposed new inspection framework “Education inspection framework 2019: inspecting the substance of education”, which is expected to be introduced in September. In its response, CSIE welcomed the proposal to introduce a ‘quality of education’ judgement, seeing this as a more inclusive approach, shifting the emphasis away from performance outcomes. It added that this could be more closely aligned with the statutory duty which schools have, under the Equality Act 2010, to make ‘reasonable adjustments’ to respond to the needs of disabled pupils. As this is an anticipatory duty, CSIE suggested that any evaluation of the quality of education should include an evaluation of the school’s readiness to respond to the needs of existing and prospective disabled pupils, as is the legal requirement. CSIE also asked for greater clarity on the criteria which inspectors will use to make judgements on the quality and implementation of Education and Health Care Plans, particularly for children and young people who have low incidence needs. CSIE also suggested that the new inspection framework should be more closely aligned with key themes from the Code of Practice, such as the concepts of person-centred planning, empowerment and preparing for adulthood, to help ensure that schools are encouraged and supported in its implementation. With regard to the Equality, diversity and inclusion statement which formed part of the same consultation, CSIE’s response welcomed the existence of this document and its clear emphasis on the public sector equality duty. At the same time CSIE expressed concern at the apparent hierarchy of protected characteristics and the implication that some should be given priority over others, as there is no such hierarchy suggested in the Equality Act. At a time when homophobic, biphobic and transphobic bullying continue to be rife in schools, the protected characteristics of sexual orientation and gender reassignment are just as important as those listed as more relevant to schools. Last but not least, in its response CSIE suggested that the new framework offers an excellent opportunity to reinstate the limiting judgement according to which a school cannot be judged to be outstanding unless it can evidence its work to promote disability equality and increase its capacity to respond to the needs of disabled children and young people. This would be in line with the Government’s declaration of 2009, made in the process of ratifying the UN Convention on the Rights of Persons with Disabilities, which states that the UK Government is committed to “continuing to develop an inclusive system where parents of disabled children have increasing access to mainstream schools and staff, which have the capacity to meet the needs of disabled children”. 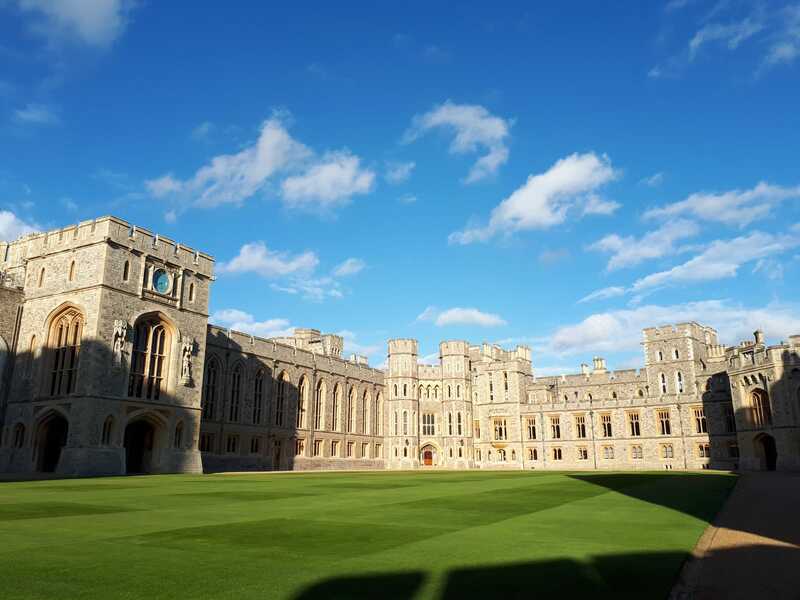 CSIE’s director Artemi Sakellariadis attended a Reception at Windsor Castle yesterday, 2 April, celebrating 100 years of the National Council for Voluntary Organisations (NCVO). 200 charities were invited to attend, from a total of 14,000 NCVO members, ensuring a balanced representation of charities of different size, location and objectives. The Queen and members of The Royal Family were present at the event and spoke to guests. 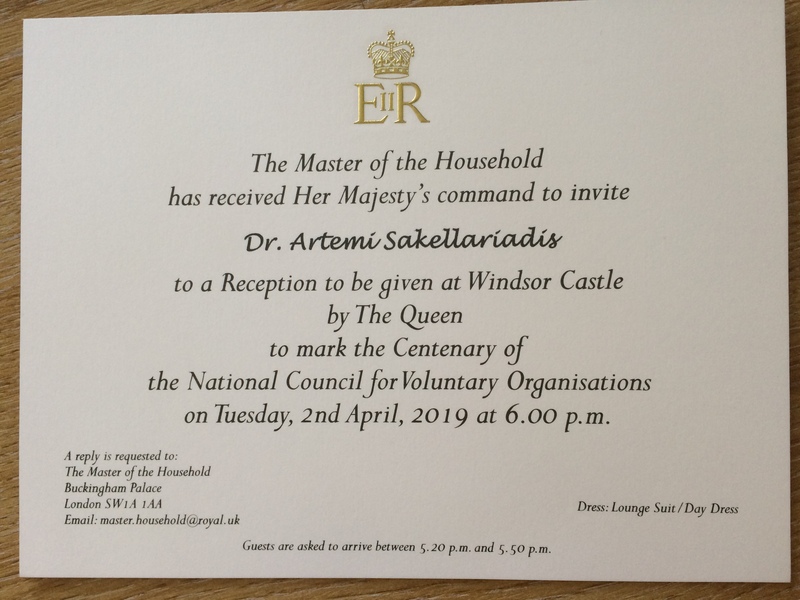 We are not permitted to share on our website photographs from the event itself, but were proud and honoured to hear that The Queen said to Artemi “Thank you for what you do”. CSIE has been working with researchers at the University of Exeter to explore school placement trends (i.e. the proportion of children placed in special schools or other separate settings) of all local authorities in England. CSIE has been reporting local authority school placement trends since 1988. Work towards this latest report has been funded by the British Academy, to whom we remain grateful. This report provides up-to-date information for the years 2014-17. It shows that there has been a rising national trend of special school placements over the last 10 years. Like other Trends reports before it, it also suggests a postcode lottery for inclusive education: there continues to be huge variation in the rates of inclusion into mainstream schools of children with Education and Health Care Plans. Some local authorities consistently rely more on mainstream settings, while others regularly send high proportions of children to special schools. In 2017 the proportion of children sent to special schools ranged from 0.18% (the equivalent of 1 child in every 556) in the London Borough of Newham, to 1.75% (the equivalent of 1 child in every 57) in Torbay. That is close to a tenfold difference! While there are small variations from year to year, these patterns persist in a way which renders the most inclusive and least inclusive local authorities consistently so. Such significant differences bear no simple relation to the size of a local authority or its social or geographical characteristics. Further research is needed in order to understand such diverse patterns. This latest report will be presented at an open seminar in London on Wednesday 10 April. The event is free but places are limited and must be booked in advance. For further information and to book your place please visit the eventbrite website. Following the success of the IMAS project on IMproving ASsistance in inclusive educational settings, a follow-up project IMAS II (2018-1-AT01-KA202-039302) has also secured funding from the Erasmus+ Programme of the European Union. 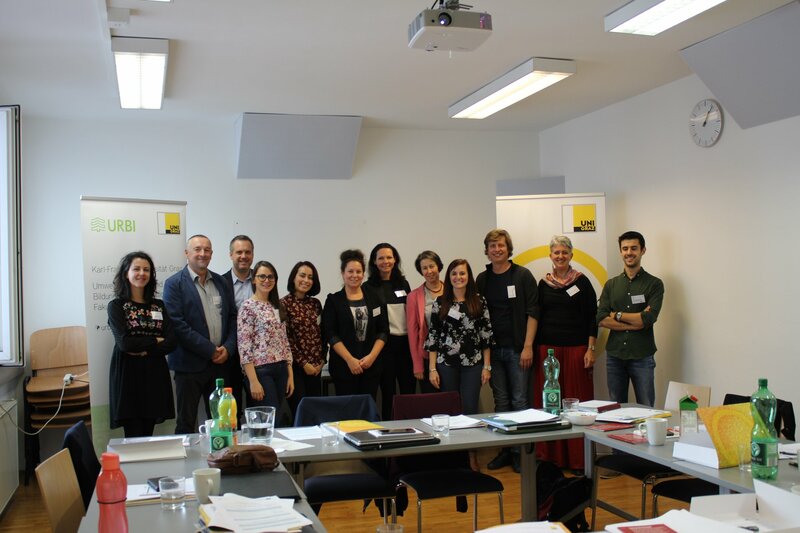 The new project was launched at the end of last week at the University of Graz, Austria, home of the lead partner, and is due to run for two years. CSIE was among eight more project partners from six European countries that were represented at the launch meeting. Building on the recommendations of the first IMAS project, IMAS II aims to support and strengthen the development of learning support assistants' competencies for inclusive practice. Collectively, the partners will develop five online “knowledge boxes” and further explore how best to support those who support the learning and development of disabled pupils in schools, in ways which are consistent with the requirements of the UN Convention on the Rights of Persons with Disabilities (CRPD). For more information please see the press release. Nearly 20 years on from CSIE’s national conferences in London and Manchester focusing on the role of learning supporters in inclusion, we are delighted to be part of this project and look forward to making a positive contribution to the way pupil support is organised in schools. This October marks 30 years of Black History Month UK, an opportunity to acknowledge and celebrate people and events paving the way for race equality. This is not to say that Black History is different, or separate, from our shared history taught in schools, or that it should only be acknowledged in October. Far from it, Black History Month offers dedicated time to highlight and celebrate Black History as an integral part of our shared history. It also serves as an annual reminder to take a careful look at everything that goes on in schools (from curriculum and lesson plans to resources, displays, events and more) and make sure that Black History is honoured and Great Black British Achievers are celebrated throughout the year. With this in mind, CSIE has teamed up with Black History Month UK to offer two great resources at one discounted price. During October, take advantage of our combined offer and get the Black History Month Schools Resource Pack and CSIE’s toolkit Equality: Making It Happen together, saving over £10. The Black History Month Schools Resource Pack contains posters, assembly notes, lesson plans for key stages 1, 2 and 3 and more. Equality: Making It Happen includes equality audit tools, key information, practical advice, examples of good practice with regard to all equality strands, and more. Get both resources for only £60 and be well on the way to promoting equality in your school. For more information and to place your order please visit our resources pages. Our award-winning equality guide for schools continues to attract positive feedback, including an independent review in the March issue of Nasen’s magazine Connect, where the reviewer concluded that "Equality: Making It Happen" is “an extremely accessible and valuable resource for any educational provider” which “should be on every school's bookshelf”! Earlier this year we completed our research on experiences of disabled students at the University of Bristol and expect to launch the report soon. Funding permitting, we are ready to begin work, in collaboration with researchers at the University of Exeter, on the next issue in the series of Trends reports, exploring the proportion of children placed in special schools or other separate settings by each local authority in England. During the past year we saw the successful conclusion of three international projects we had been involved in: the European Literacy and Citizenship project (ELICIT-plus), the Improving Assistance in Inclusive Educational Settings project (IMAS) and the Beit project. We are honoured to have been invited to contribute to four new projects: a national research project on children’s experiences of inclusion and three international projects: a follow-up on the IMAS project, a new Erasmus+ project on Enhancing Practices of Inclusive Teaching in European Countries (EPITEC) and a new project creating a Sustainable Transformation on Educational Practices Initiative Network (STEP-IN). Happy Birthday CSIE, we all wish that you keep going from strength to strength and continue to be valued for achievements at the cutting edge of educational change! CSIE has responded to the Education Committee’s inquiry into special educational needs and disabilities. In its response, CSIE provided details of the multiple agencies which have recently emphasised the need to develop a more inclusive education system, including the Equality and Human Rights Commission, the UN Committee on the Rights of the Child and the UN Committee on the Rights of Persons with Disabilities. CSIE also emphasised that recent law reforms do not fully embrace other relevant legislation, including the Equality Act 2010. Finally, CSIE’s submission referred to ongoing barriers to equality of opportunity: a) the chicken-and-egg relationship between parental choice and the context in which it takes place stressing that, until schools in every part of the country are willing and able to include the full diversity of learners, the promise of parental choice remains hollow; and b) inflexible ideas about how teaching and learning are organised in schools, leading to widespread belief that some disabled children cannot be included in ordinary schools. In a once-in-a-lifetime sale, we are offering up to 90% off our resources, for a limited period only and while stocks last. We are preparing to relocate our stockroom and need to reduce our stock of printed resources. During June only, we are selling off all our current resources for £5 or £10 each, and most titles in our bargain corner for an unbelievable £1 each! Whether you are looking for a whole school equality guide, the Index for Inclusion for early years or information on local authority school placement trends, there has never been a better time to get great resources at fantastic discounts! We are delighted to announce that CSIE has received funding from the National Lottery Awards for All programme to set up an online equality hub! The grant will enable us to work with schools to create this new resource, and make it freely available to all schools. We are exploring the possibility that the new equality hub will be hosted on a long-established website popular with teachers, and trust we will soon be able to confirm further details about this exciting project. CSIE is proud to have been the UK partner for the Beit Project since 2016 and to have contributed to recent talks about the continuation of the project. The Beit Project Association was created in 2010 by an interdisciplinary group dedicated to citizenship education and heritage. It seeks to transform heritage sites into educational platforms for dialogue and debate linking History and contemporary issues. The project’s focus is on encountering the city, the people who live there, the buildings, the history, and the issues these raise which are still relevant today. ‘Encountering the other’, is made possible through the various stages of the project. In 2016-2018, the project has been co-funded by the European Union in the frame of the Europe for Citizens programme of the Education, Audiovisual and Culture Executive Agency. It has been realized in 8 cities (London, Lodz, Paris, Brussels, Barcelona, Marseille, Sofia and Skopje) of 7 European countries (United-Kingdom, Poland, France, Belgium, Spain, Bulgaria and Former Yugoslav Republic of Macedonia) with the support of the local partners (Centre for Studies on Inclusive Education, Centrum Dialogu, Maison de l’Europe à Paris, Archives de la Ville de Bruxelles, Shalom and Euro Baljan Institute) and the energy of the local teams. Thanks to them, more than 3000 European citizens have been touched by the project during this period. More information is available on the Beit Project website; an English translation will be added here as soon as it becomes available. CSIE is delighted to hear that our award-winning guide Equality: Making It Happen – A guide to help schools ensure everyone is safe, included and learning, is reviewed in the March issue of nasen Connect. This time the independent reviewer is Ruth Harlow, Primary School Inclusion Leader, who has written a true accolade for our resource, praising its versatility and user-friendliness among other things. Her review opens by saying that “‘Equality: Making It Happen’ is an extremely accessible and valuable resource for any educational provider”, and closes by suggesting that it “should be on every school’s bookshelf”. At £30 a copy if bought directly from CSIE, we certainly hope that schools will choose to take up her recommendation! CSIE is honoured to have been invited to become a strategic partner of the Essex & Thames Primary SCITT and looks forward to a long and constructive collaboration. This partnership arises out of an increasingly strong association between the two organisations and CSIE’s long-standing involvement in school-centred initial teacher education in Essex, including a keynote address in the Essex Inclusion Conference of two years ago. The partnership opens up exciting possibilities and CSIE looks forward to sharing its expertise and existing resources, or collaboratively creating new tailor-made resources, in the coming weeks, months and years. CSIE is delighted to have been awarded a grant from the Goodall Foundation to support our work promoting equality in schools in Brighton & Hove. We are planning, in close collaboration with Brighton & Hove City Council, to run two equality workshops next month. The workshops will be of interest to senior leaders of primary and secondary schools, will address key issues of equality in education and provide simple and practical ideas to help schools raise achievement, address prejudice and reduce bullying through attending to equality holistically. For more information and to book through the Council’s online portal please see www.beem.org.uk/Event/65349 for the morning workshop (11:30-1:30 on 20 March) and www.beem.org.uk/Event/66413 for the twilight session (4:00-6:00 pm on 20 March). We remain grateful to the Goodall Foundation and Brighton & Hove City Council for their financial and practical support respectively, to enable these equality workshops to go ahead and to be offered to participants free of charge. The workshops are framed around our award-winning guide Equality: Making It Happen of which all participants will receive a complimentary copy. During LGBT History Month, we are available to carry out equality surveys in primary and secondary schools, providing each school with clear information and practical recommendations. Based on questionnaires from our award-winning guide “Equality: Making It Happen”, this is a rare opportunity to engage the whole school community and address all protected characteristics covered by the Equality Act 2010.
remain available to discuss with you the outcomes of the surveys and our recommendations. To place an order, please complete this online order form.